With thanks to the Esther M. Zimmer Lederberg memorial website. Esther Lederberg was an American microbiologist and a pioneer of bacterial genetics. In common with many female scientists, she hasn’t received the credit she deserved. For non-scientists her achievements may seem difficult to understand but they are brilliant, worthy of a Nobel prize in fact. 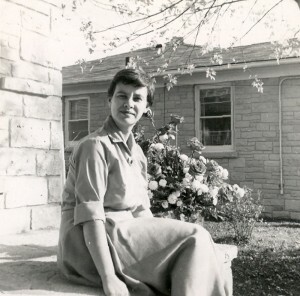 Esther Lederberg was the first to isolate lambda bacteriophage, a DNA virus, from E coli. Her work led to an understanding of a mechanism known as specialized transduction, an important factor in explaining one mechanism of the transfer of bacterial resistance. Esther discovered Bacterial Fertility factor F, a bacterial DNA sequence that is important in bacterial reproduction. Esther was responsible for developing a workable way of removing bacterial colonies en masse from the plate on which they were grown. The technique, known as replica plating, had eluded scientists until Ester came up with a technique to make this possible and replicable. Esther also founded and directed the Plasmid Reference Center at Stanford University. Away from the lab Esther was a lifelong devotee of early music, playing with the Mid-Peninsula Recorder Orchestra even when, later in life, she was in need of a mobility frame. She also loved the works of Charles Dickens and Jane Austen, and belonged to societies devoted to studying and celebrating their works.